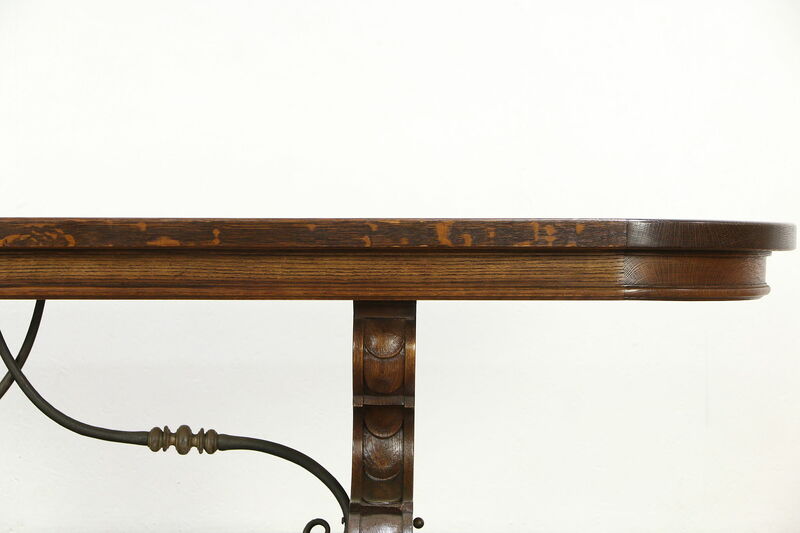 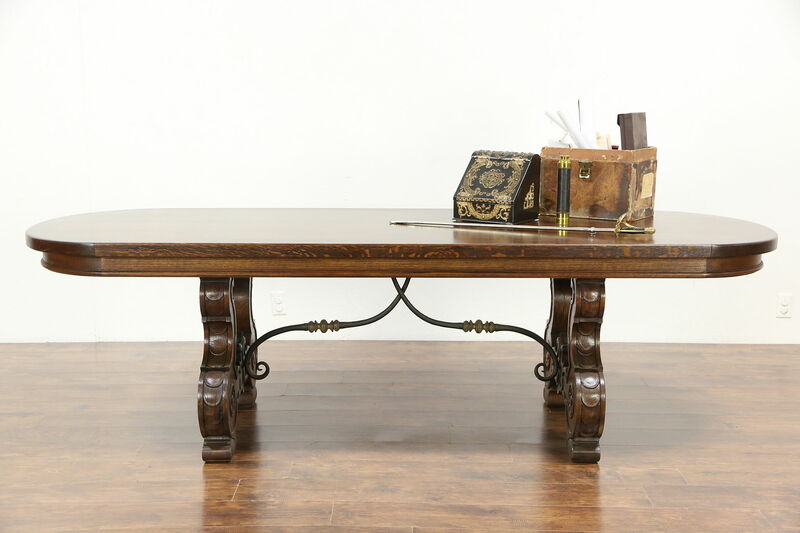 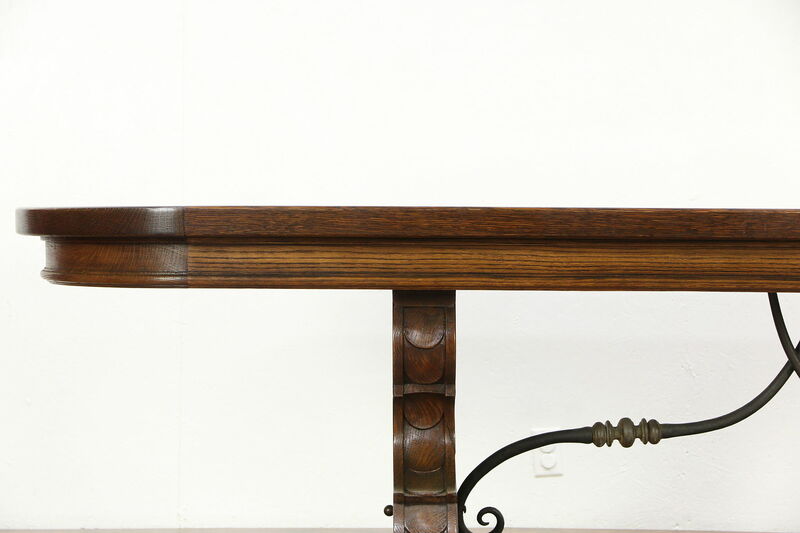 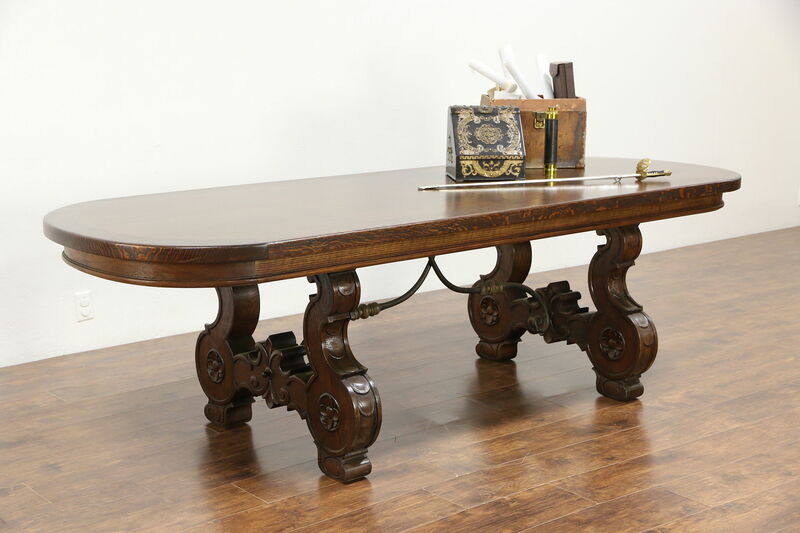 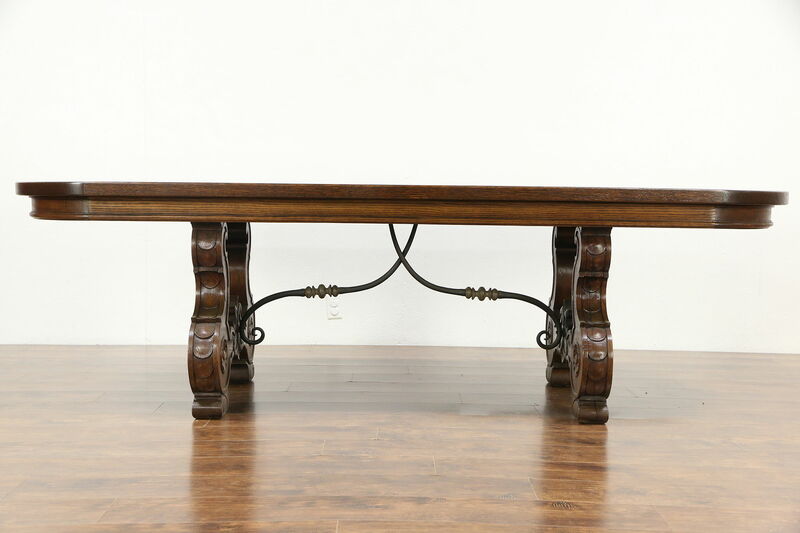 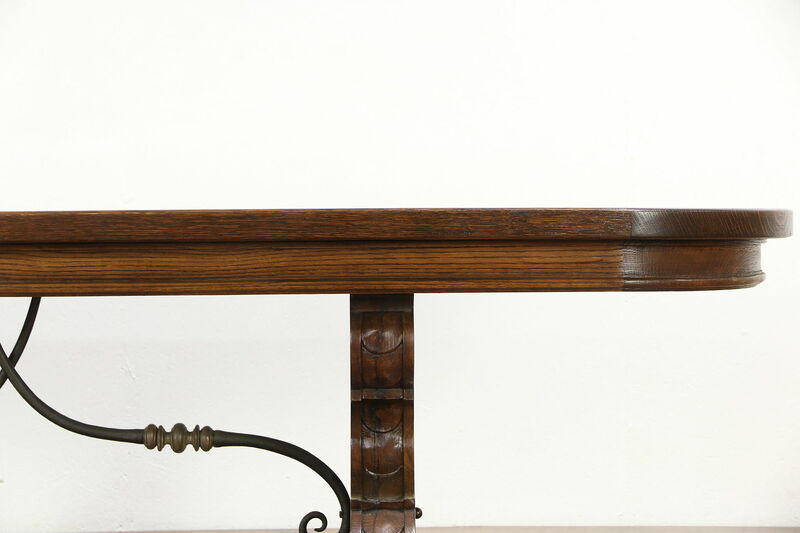 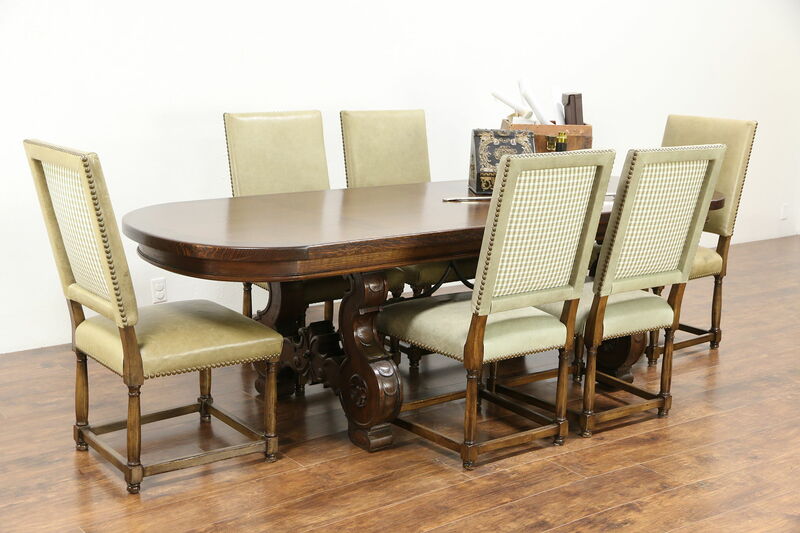 A spectacular Spanish Colonial oval desk, hall, dining or conference table was hand carved of solid oak during the 1930's, and has a trestle base with traditional lyre shaped pedestals. 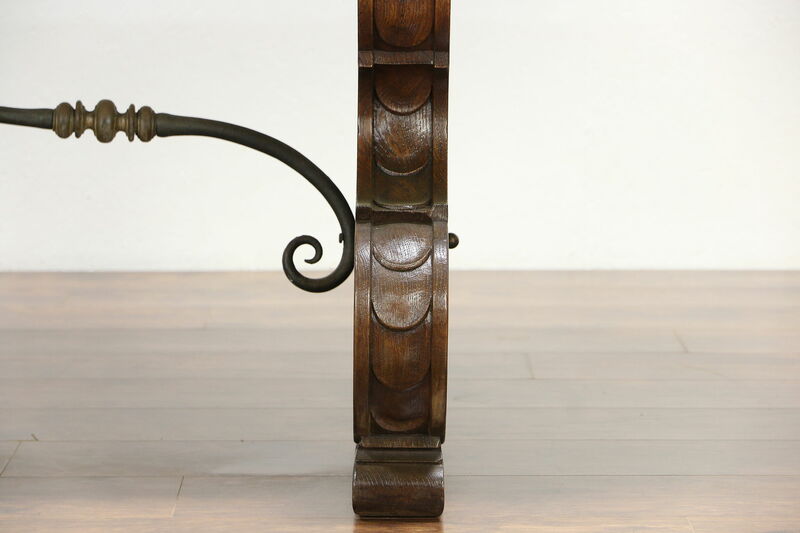 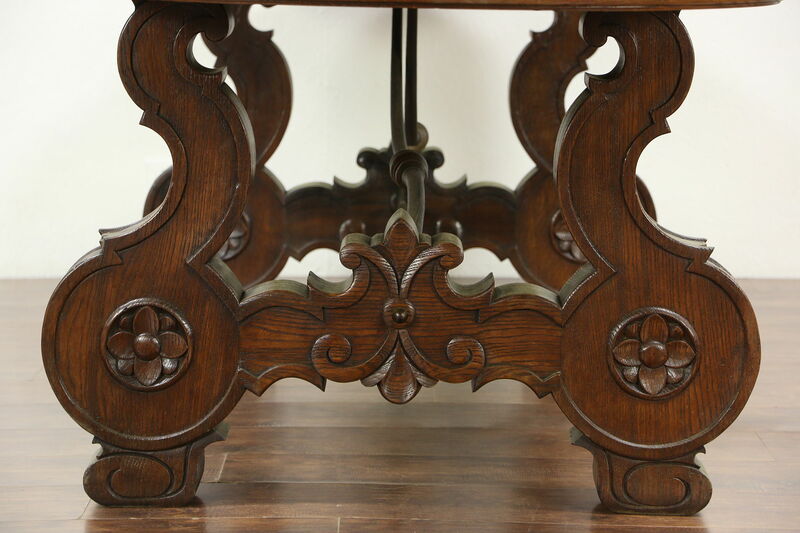 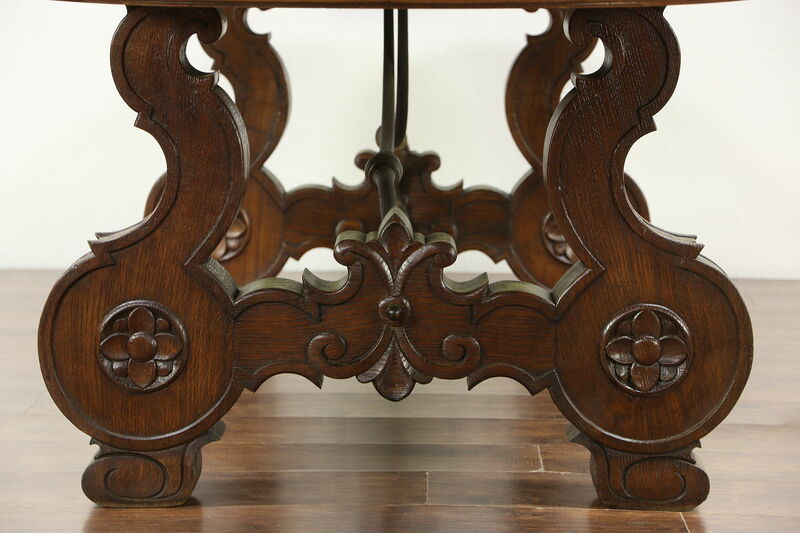 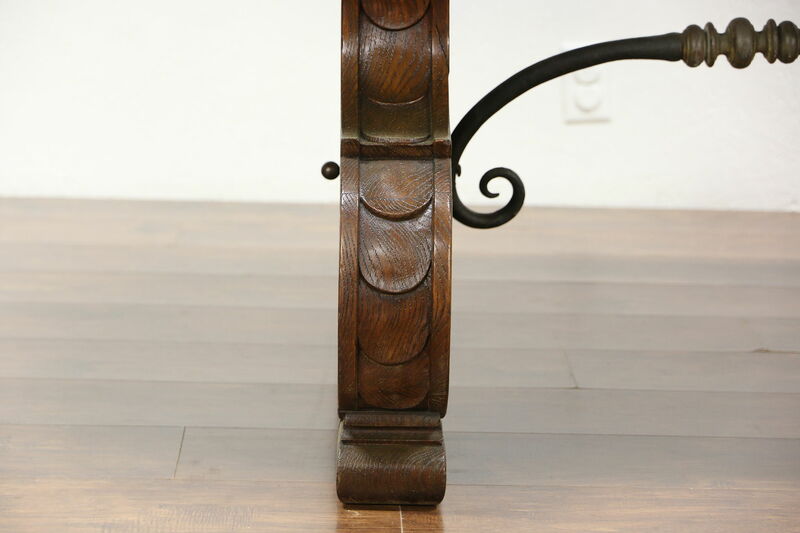 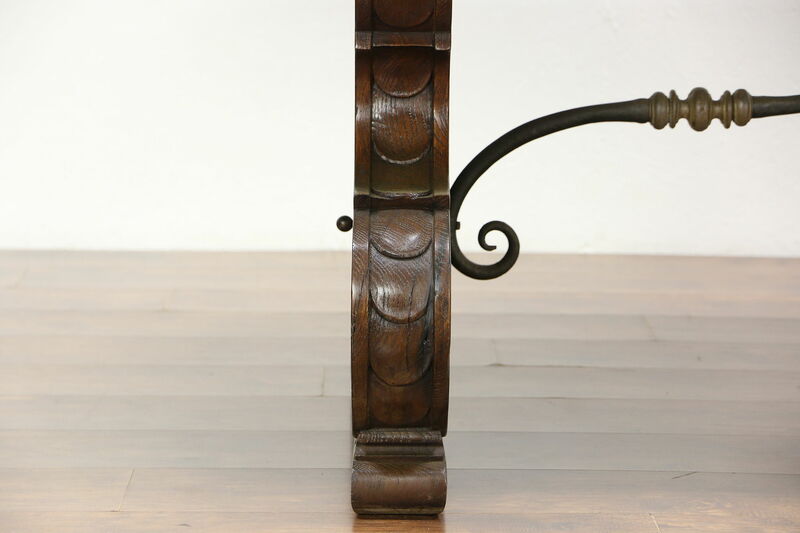 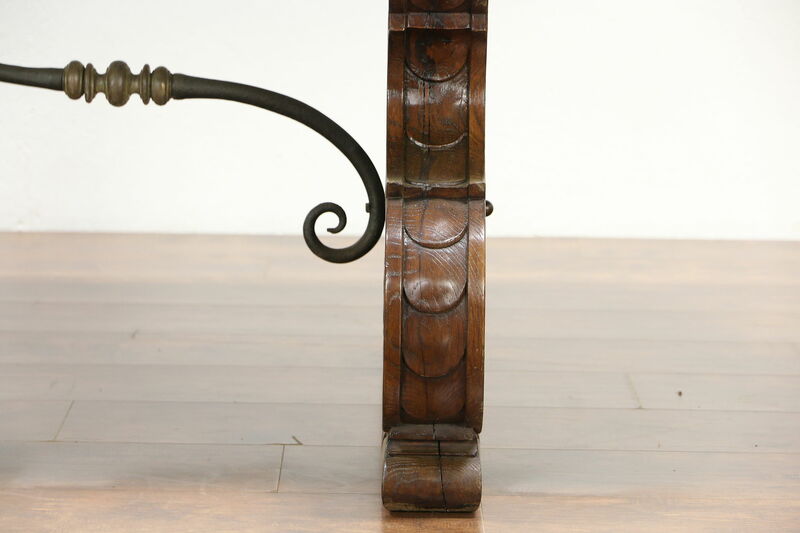 The wrought iron brace is authentic on this vintage furniture from Spain. 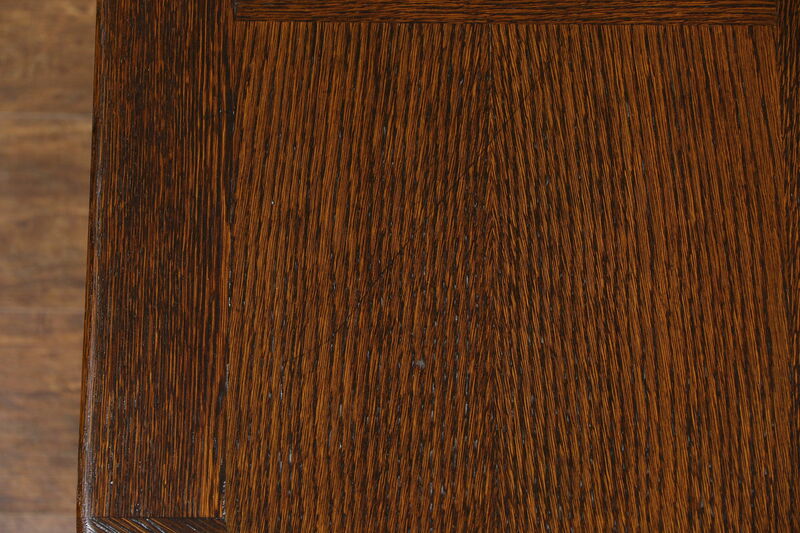 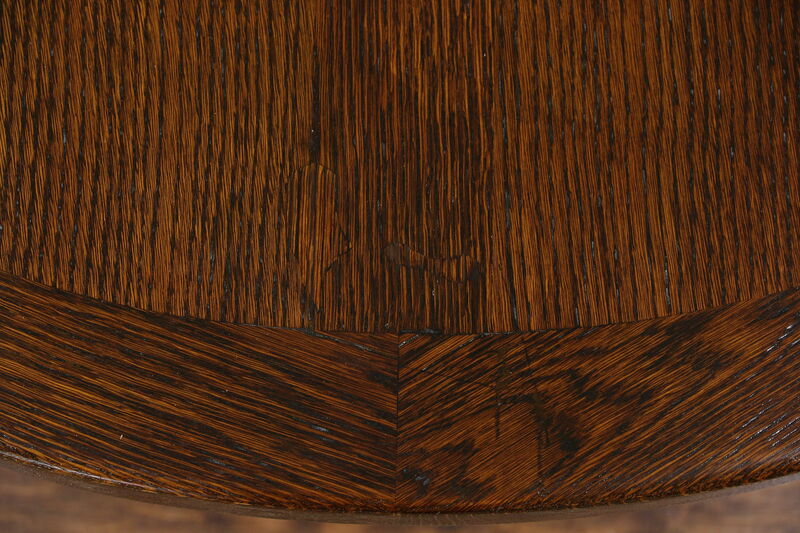 The restored finish is in excellent condition preserving just enough mars for a little antique character. 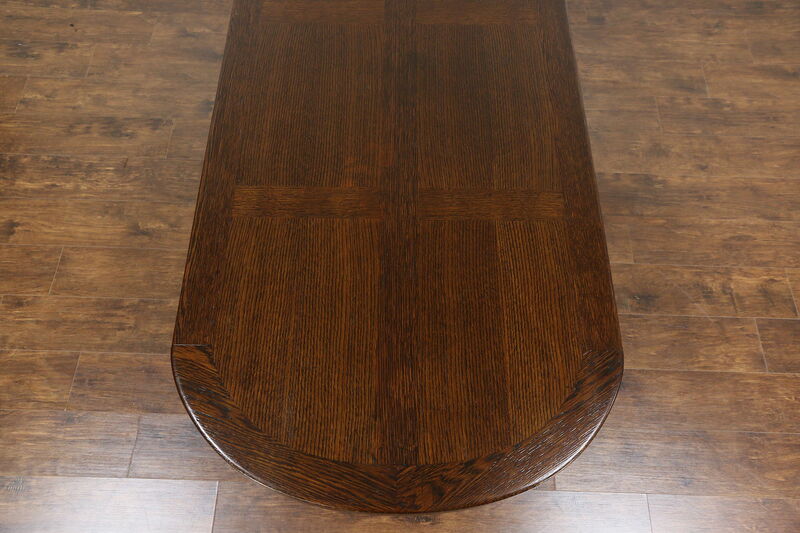 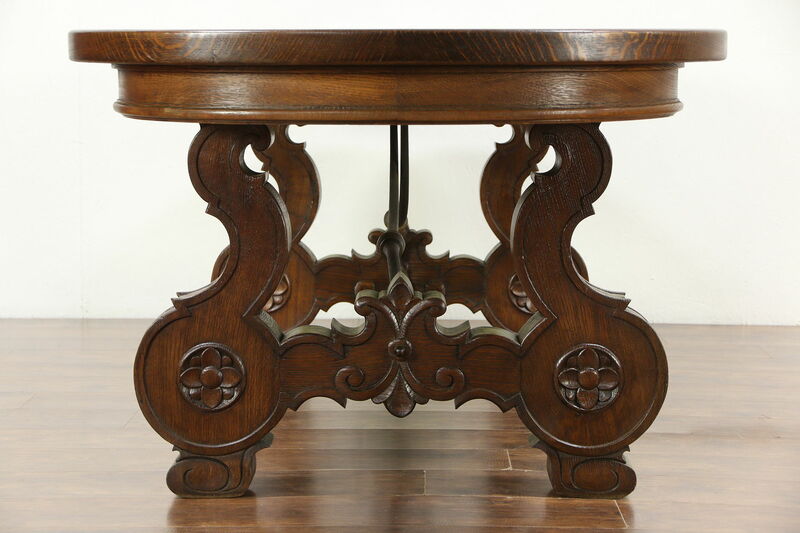 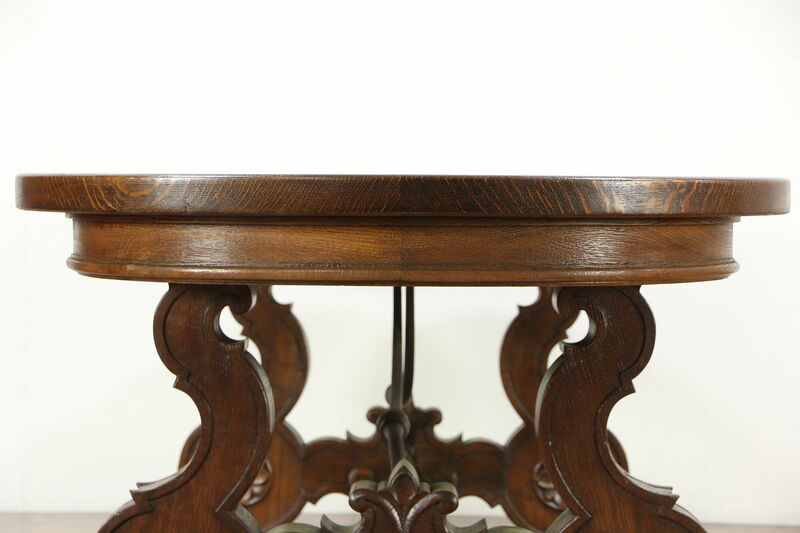 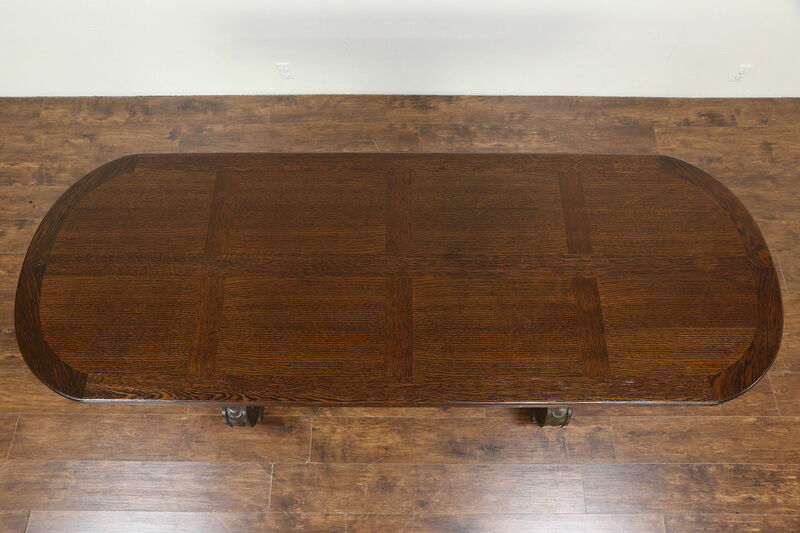 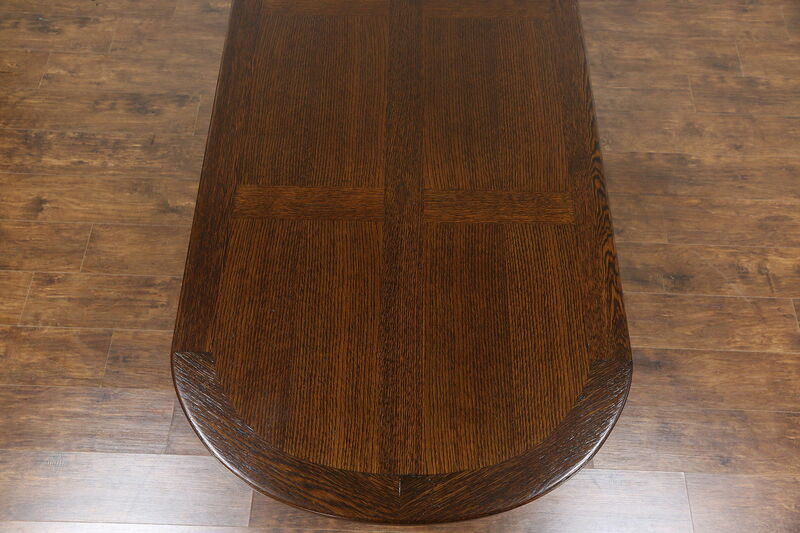 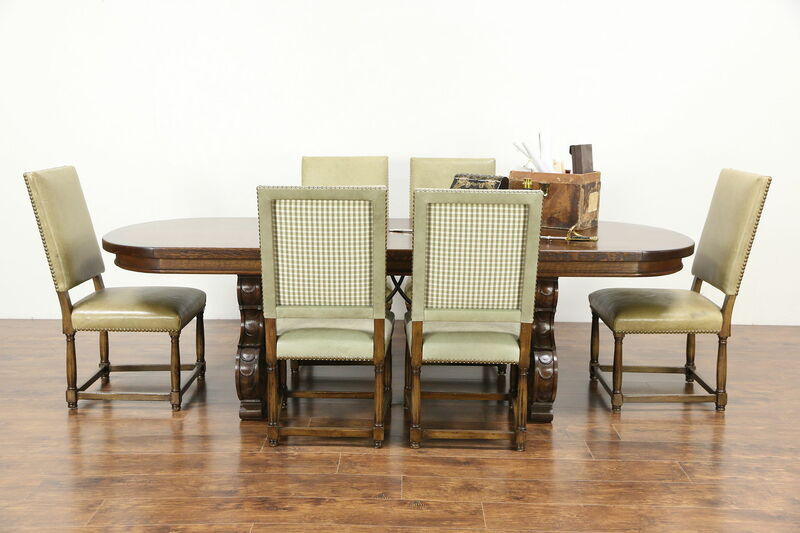 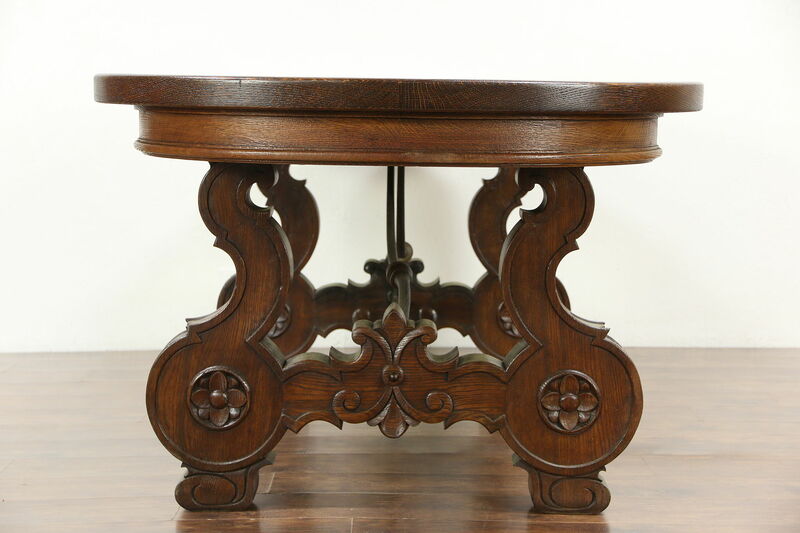 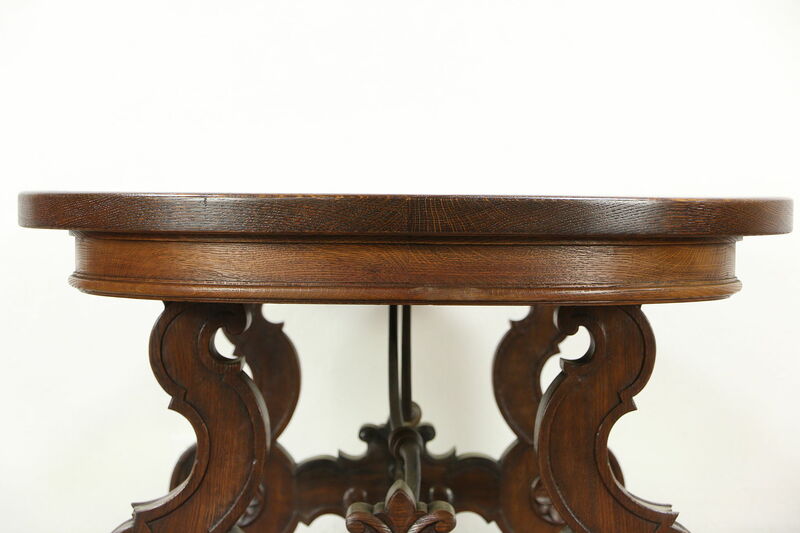 The banded top is 2" thick and the rugged hand carved base is richly detailed on this superior quality table. 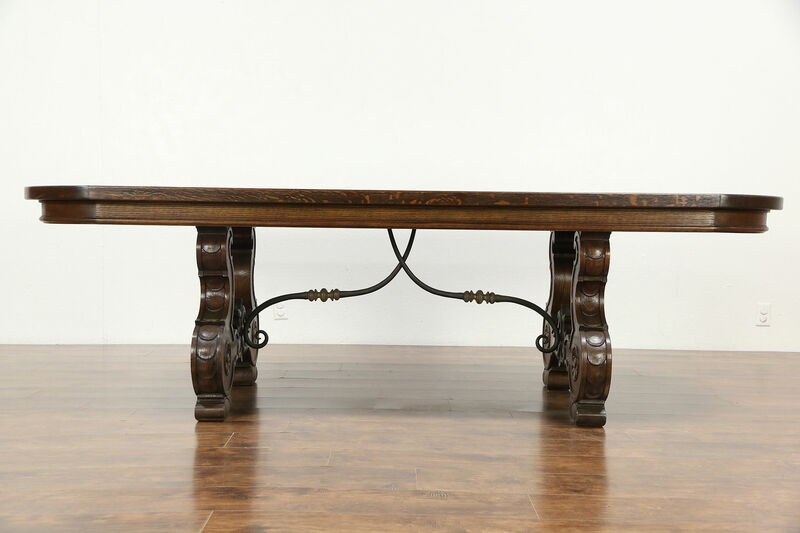 Measurements are 103" long, 37" deep and 30" tall, there is 25" of knee room.